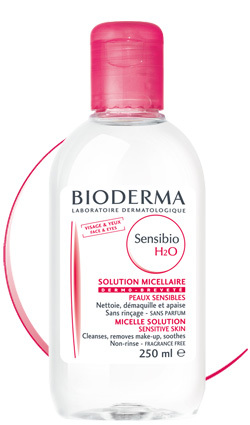 I've been hearing about Bioderma Sensibio H2O for a while now. Well I finally tried it out this week and I love it! Fantastic product for people with sensitive skin who don't like a lot of scent. It removed all my makeup without drying out my skin. Whenever I use those wipes that vow to take off your makeup, I break out in a rash. This is a dream for the lazy girl who doesn't want to wash her face at night, i.e ME! No excuses now. It's available at Shoppers Drug Mart. We went to a birthday party on Sunday and had this amazing orzo salad. It was ridiculously yummy and I think it will become a summer staple in this house. I seriously devoured it and my mouth is watering just thinking about it. Can't wait to make it this weekend. This sandal is so perfectly simple. Great with just about everything. I feel like I'll never stop wearing this t-shirt all summer long. Dressed up or down, it's a perfect basic. Call me crazy but I keep going back to look at this jumpsuit. Am I crazy or is it love?